Texas members will face a pressing government funding deadline when they return to Congress on Tuesday, as well as a possible second attempt by Republican leaders to pass a sweeping health care bill. WASHINGTON — After two weeks back in their home districts, Texas members of Congress will return to Washington on Tuesday to a hectic week that could include both another attempt to undo President Obama's health care overhaul and an urgent effort to meet a four-day deadline to keep the government’s doors open. Back in December, Obama and the outgoing Congress passed a funding resolution to keep the federal government open through April 28. Now, President Trump and the new Congress must push through a new funding bill or the government will shut down. Up until late last week, it seemed like a simple matter. 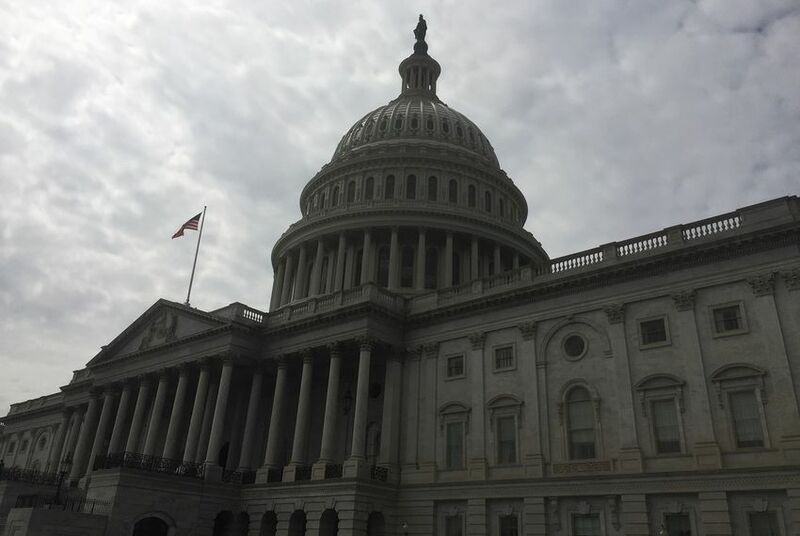 “At this point, I think there’s always that possibility, but I think the probabilities are lower that there will be a shutdown," U.S. Rep. Jodey Arrington told the Tribune just before Congress let out for recess earlier this month. Arrington is a Lubbock Republican freshman who is entering his first round of fiscal negotiations, and his comments reflected most prognostications among members and Capitol Hill staffers. But then the Trump administration threw several wrenches into the week's outlook on Thursday. Early in the day, reports surfaced that the White House would make another push for a health care overhaul — a gargantuan legislative lift. The development rattled some anxious GOP House members who were not thrilled to take up such a volatile issue while contending with a possible shutdown. Later that day, Trump's budget director Mick Mulvaney left open the possibility that the administration would require border wall funding as part of any funding package. Some Democrats have signaled that such a requirement would be a deal breaker for them on the spending bill. The result by the end of last week was a sense of total confusion among some in the Texas delegation, who worry that immediate, must-pass legislation like government funding is becoming conflated with more aspirational legislative goals. The notion of trying to push through two hard votes — budget negotiations in recent years often had just as much brinkmanship as what happened in the U.S. Capitol in March over health care — is a bewildering concept to a number of Texans who are in the federal legislation trenches. Even before the health care and border wall complications surfaced, the dilemma facing congressional leaders on funding the government was the same as the health care drama — how to balance the demands of the conservative bloc of House members with the more moderate U.S. Senate. Any efforts to appease moderates or Democrats will almost certainly alienate the most conservative members of the U.S. House, and vice versa. Furthermore, sticky issues like how to fund a border wall could complicate negotiations. "No one wants a shutdown; we want to keep it going," White House Press Secretary Sean Spicer told reporters on Friday. Many on the Hill expect Congress to pass a short-term funding bill that will avert a shutdown for a few days or weeks in order to buy time for a more substantive measure that will fund the government through the end of the fiscal year in late September. Several Capitol Hill staffers told the Tribune that they expect Democrats to be involved in the negotiations. U.S. Sen. Ted Cruz, who was at the center of the 2013 government shutdown, told reporters earlier this week that he hoped to avert a shutdown — but he pointed the blame at Senate Democrats if one came to pass. "You know, one of the dynamics we’ve got is the Democratic radical left is demanding of Senate Democrats that they oppose everything, that they engage in across-the-board obstruction," Cruz said April 17. "And so I do have some concern that to appease the radical left, [Senate Minority Leader] Chuck Schumer and the Democrats may do everything they can to try to provoke a shutdown." But other Republicans in the delegation fear the public would not buy that argument and instead point fingers at the party that controls both chambers and the White House. Moreover, after a bruising winter and early spring, Republicans are anxious to show they can govern – meaning there is little political will to take a stand via a shutdown. But then again, few in Washington anticipated the collapse of the health care bill. As a result, there are some pockets of doubt in Washington that Congress can come together on anything — even something as basic as government funding. Many in the delegation dread the idea of a shutdown. “I don’t think anybody wants that. I don’t think in the past it has served Congress well,” Arrington said. He said there are times to take stands, but the political dangers for Congress are real. Cruz recently defended the conservative group of House members known as the Freedom Caucus against critics.